Since the Low Down Lowdown was shut down with no warning, only to reappear later, we seem to have lost a huge number of posting members. That's really too bad. It would have been nice to get a warning notice and even better for all members (including many who have not posted in years) to get a reinstatement notice. In the meantime, we have lost people to other websites and alien abductions. There is now a Facebook page where 76 of our members can be found (and no, they aren't playing trombones. I found a FB page called Bass Players United which has a very large membership and includes bassists from all over the world, male and female, experts and beginners. (and everything in between). The sense of humor of our MusicPlayer site doesn't appear much, but on the other hand, the site is heavily moderated and no one insults anyone (and there is only one warning). Yes Jeremy it is sad to see the LDLD in such a sorry state. This is the place that got me started on forums in general and learning my way around the internet. Bassplayer mag (and its parent company) just have never figured out how to leverage this forum and the website in a truly productive way. I still check the page every morning. It's kinda like home. I may not always contribute much, but it's nice to know it's there waiting. I feel much the same as Flemtone. It's sad to see what this place has become. This always seemed like one of the few places on the web where things don't turn ugly very often, which is why I keep my face out of my profile picture. I don't Facebook so you won't be seeing me there. This is the first bass forum I ever joined. Harmony Central's was the second. Both are mere shells of their illustrious former selves. I posted MP3's on both. I can't help but somewhat blame myself. I've been lurking on the FB page more than checking out this page. The decline has been unfortunate. But I do take something positive from the experience in having gotten to know a good number of forum members. And I think it's enriched my life. Except for lug, of course. Now hold on. You know damm well I provide an EXCELLENT example of what not to do on bass, with music, and possibly life....HOW CAN YOU DISCOUNT THAT! 30% off! No takers? 75% OFF!!!! [quote=Nicklab]I've been lurking on the FB page more than checking out this page. The decline has been unfortunate. But I do take something positive from the experience in having gotten to know a good number of forum members. And I think it's enriched my life. I still drop by once or twice a week. I notice that the FB group is not particularly active. Compared to the keyboard and guitar players, we have always been a quieter group of folks for as long as I've been posting here, I don't know why that is. On a better note, last night I saw the Dirty Dozen Brass Band in Richmond. Kirk Joseph's playing is so incredible, beyond words. I got to speak with him briefly after the show, really nice guy. Last year the same thing happened at the Gtr Forum. Members brought it back to life, which might be what happened here. Also, aft KBoard Mag shut down late last year [http://forums.musicplayer.com/ubbthreads.php/topics/2828304/Oh_oh_what_s_ahead#Post2828304], I wondered what might be in the air for the forums in general. Note how little response to any posts in that regard, members OR EDS OR MODS, there was. Honestly, I never look at the FBook options & wonder why the exist (likely more profitable via ads) but I have a deep distaste for FBook based on several of their policies, which include claims of (c) to all material posted there (& likely marketing of images, etc) plus their stunning manipulation of members. If you go there regularly you may not have experienced this but since I stopped checking there, I began to get multiple daily alerts to messages, etc, that don't exist when I actually checked. Attempts to get them to stop or correct that only got me diverted to their "Help" staff which turns out to be, more or less, a FAQ with no actual response from the sites administration. I suspect they garner some percentage of ad revenue simply based on how many visitors, logged in or otherwise just hit the site. The continued claim that print media is dead/dying is a self-fulfilling prophecy (as less is offered, more don't come) & what ever is driving the drift toward multiple split sites like Twit-ster , FBook , etc, instead of a single focused site seems a mistake, too, at least to me. However, as we see regularly, management of various sorts frequently disregards the best interests of patrons & even themselves. Compared to the keyboard and guitar players, we have always been a quieter group of folks for as long as I've been posting here, I don't know why that is. .
Basses generally have 4-6 strings, guitars 6-12 strings, and pianos usually something like 230 strings. Maybe the more strings, the more active. I think I've figured it out. We bass players are so actively involved in living and playing that we just don't have time for social media. Let others chat and maunder, we go out and do. I check in now and then... don't post much anymore. i have learned more here about being a musician than anywhere else over the years. I am in a band. i am hoping it lasts. they are good, but hte guitar players still noodle over other peoples conversations... some things never change. Can't speak for anyone else, but yes the whole shut down mess was a major problem. I used to check our beloved forum every day, and today is the first time I've dropped by in quite a while. Actually, I half expected the bookmarked link to not even work, which is sad. I agree with others that FB doesn't seem to be the ideal environment to host discussions. However, it is fun to see more real time updates and pictures from several friends from this forum. I even get invites to Paul K.'s latest gig (though I'll probably never make it since I'm approximately 2,600 miles away). So maybe that's a recommendation of sorts for those who don't "Facebook" to give it a shot. I'm surprised there's not a greater sense of concern or action. I even get invites to Paul K.'s latest gig (though I'll probably never make it since I'm approximately 2,600 miles away). Wussy. I'd put you up for the night. Concern without action could mean not very concerned. For whatever reason, on the other forums almost anything that gets posted gets commented on, argued about, etc. 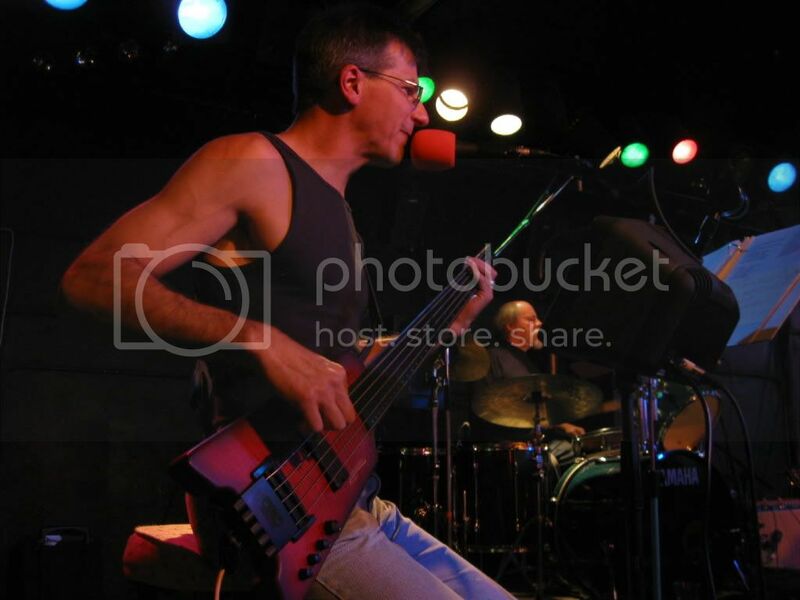 On the bass player forum, a lot of posts rest in place for weeks if not months. This is also true on the FB site, where a clip of a bass performance gets one or likes or comments. Either most people agree, or don't care to comment or participate. Maybe it's our nature. I don't know. Well.....been awhile since I've posted. Got to say that I've seen this coming for awhile. Forums are becoming outdated technology and social media is the new norm. I keep up with the FB page and vary rarely come here. I hate to sound so negative but it is what it is. I still like the forums. I started here. Went to TB when the end ws near...yet it's still here. It's a little sad. I loved this forum. Took a lot of "constructive criticism" here. Still haven't learned, but I'm getting better. Maybe but that's a blind alley. The 2 are by no means equivalent, in function or purpose. Little if any idea exchange in "social" media, & almost impossible to keep focused. It's really just a natural evolution of how social sites work. The bulletin board format like Musicplayer's is going to have a hard time recruiting new, younger folks who Snapchat land Youtube like we used to email and text. I have two living in my house, so this is not just supposition. Information these days is just ephemeral, and the only effective way to retain a bit of info and distribute it is through video and blogs. Video has the attention-capturing power, and blogs have search engine indexing, both of which are sorely lacking here. Lately, almost all forums I participate in or moderate have felt like that one barbershop in town where old guys hand out and no one is getting their hair cut. It's not a good or bad thing. It just is. Maybe but I think yer discounting how modern advertising affects all this stuff. For example, that's the main driving force behind FBook now & a primary reason I no longer use that site (along with their ever-growing encroachment on rights of users---consider how they claim ownership, including (C), & right to sell of all material posted there. So MPlayer or mag sites there is a non-starter for me. & twitter's just witlessly short for the exchange of any info such as we might exchange here. The newer ones I know less abt but my general impression is they offer users a chance to post semi-fragmented updates on themselves ["me-ness"]...how's that work to interconnect a community ?